It’s a sign that wealthier people in South Maui are spending less on disposable items, such as fancy dinners out: Roy’s restaurant in Kihei papered over its windows, removed the marquee and closed its doors for good last month. Roy’s was located in the Pi’ikea Shopping Center, served mainly visitors and wealthy residents of the nearby resort zone that includes the Grand Wailea Resort, the Four Seasons, Wailea beach villas and Kihei condos. While news of recession is no longer news, Roy’s closing marks an important shift in the progression of financial pain. To understand why, you need to understand how Roy built his restaurant empire. 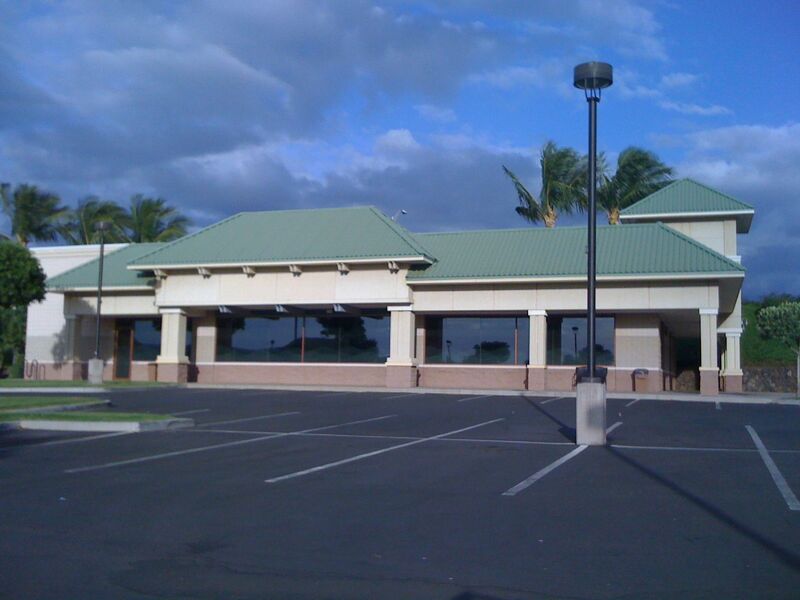 Roy Yamaguchi opened his first so-named restaurant in Hawaii Kai in 1992. Slowly over the next 9 years he expanded throughout Hawaii, opening new eateries on each major island. They were all a smashing successes. He deployed a franchise business model and continued expanding to a few key locations in California and Japan. Then in 2001, he formed a joint venture partnership with the parent company of Outback steakhouse, and that’s when new joints started popping up all over the country earning hundreds of millions of dollars a year. In 2008, there were more than 30 Roy’s worldwide. If you look at a map of all Roy’s locations, all the spots share one common trait: they are in wealthy areas that are flush with disposable income. We’re not talking about traditionally rich areas of the US, like Southwestern Connecticut or the Hamptons in New York. We’re talking about places with golf courses, resorts, Lexsus dealers and new money itching to be spent. Kihei and Wailea fit Roy’s criteria perfectly, until now. Full disclosure: I worked as a waitress for two years at Roy’s Hawaii Kai store back when I was in graduate school. It was then that I learned about the painstaking research Roy and his team put into scouting new locations. It was also when I realized that buying houses in those same areas would be profitable, and it was for many of his staff that moved to work his new eateries in places farflung from Hawaii, such as Orlando, Tampa and Scottsville. Roy’s proved to be an economic indicator of disposable wealth. That’s why seeing the Kihei store close means more than just another empty retail space during a bad economy full of empty retail spaces. Roy’s Kihei closing signals at least a temporary decline of people’s disposable income on Maui. And that’s a problem for this island economy built around people peeling off greenbacks. This closure signals deeper trouble–deeper than not being able to dine on those famous ribs, crab cakes or chocolate soufflés. But for those in the area who are going to miss his daily changing menu, my palette goes out to you. The upside is that bargains can be found for vacationers in South Maui, where room rates have dropped over 20% in the last two years and just about everything, from tours to food, is on sale. I’m excited that the closing of a corporate chain like Roy’s opens the possibility for a local restaurant to open and flourish. There are some great chefs waiting in the wings here in Hawaii. While I get John’s logic, still sad to see it go… that was always my fave restaurant for a celebration and while it wasn’t local to Maui, to someone from Canada it was pretty uniquely Hawaiian. And the service and food were unfailingly dazzling. My favorite story about Roy was when a friend of mine was working at Gordon & Grimsley’s. She called me and told me the there was this local guy from Hawaii working in the kitchen who was making these killer salsas with Mango and Pineapple. That was the 80’s and it seems like another lifetime ago. I would have loved to have been there in that rare air when a young Roy was in the kitchen creating new, exciting food. They opened one up in Pasadena just this year. I’m still not rich enough to blow money on a chain restaurant, and I suppose it’ll close before I am.